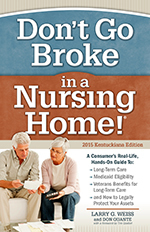 As eldercare replaces childcare as the number one issue facing baby boomers, Don’t Go Broke in a Nursing Home is one book you need. Take back control of your life and provide excellent long-term care for your aging loved one without them going broke in the process. This book is full of creative financial strategies that you could use to protect your assets and the quality of care you receive. In addition, you will learn about little known tax incentives available to those who plan ahead for long-term care. Nestled in a tree-lined residential neighborhood in the desirable Lyndon area of Louisville, Medicare-certified Meadowview is a high-quality facility that combines exceptional care with extensive experience. They offer a full range of services under one roof to serve every need, whether it’s someone who requires a short stay following an illness or injury – or someone who requires ongoing long-term care and support. Senior Helpers ensures a better quality of life for our elderly clients and their families by providing dependable and affordable care. A trusted and respected organization with the sole vision to be your community’s leading home care company, setting a new standard of care and customer service for our industry. ProTile can install any floor you dream up. Add color, shape and beauty to your kitchen. Ceramic tile is easy to take care of and looks great for many years. Give your existing bathroom a facelift or create a new one in style. With so many choices, we can help you choose the right finish for the job. Deana Hall, RN, CCM of Diversified Nurse Consultants is a private geriatric care manager and a registered nurse for KY/IN with over 20 years of experience in the healthcare field with a broad background in many different areas such as home health and rehabilitation. Contact her by phone at (812) 282-2074 or e-mail at deanarn@twc.com. Fancy Fulton is a Short Sale Specialist and Certified Distressed Property Expert® (CDPE) and is SFR Certified. 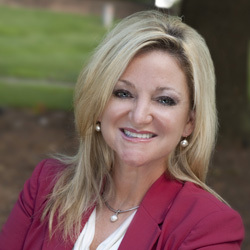 She takes great pride in her ability to get homeowners out of stressful situations. Holding an active Ambassador status with 1 Southern Indiana allows Fancy to utilize her networking skills on the Champion Network Committee. This position drives more exposure for each client. Her passion and professional characteristics set her apart from others. Rodefer Moss are financial and accounting professionals who view their work as more than a job, project or assignment. They truly are a part of your team and on whom you can depend, people who know their craft and who help you reach the goals you’ve set for your business. Krause Financial Services is the only attorney-led financial services firm in the nation that specializes in helping families qualify for Medicaid and Veterans Benefits through the use of insurance products. Known for his long-standing personal commitment to elder law attorneys, insurance agents, and their clients and with over 25 years of experience, Mr. Krause is a national Veterans Benefits and Medicaid planning advocate.